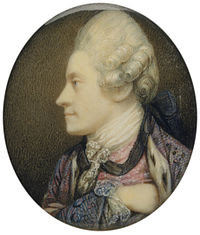 Today marks the anniversary of the death of Richard Cosway, celebrated miniaturist. 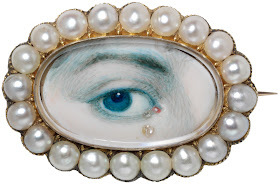 That set me thinking about Cosway's business and the tradition of eye miniatures, the romantic, hopefully anonymous, token of Georgian love. We Georgians loved our eye miniatures (or lovers' eyes, as someone more recently termed them). A tiny painting depicting the eye of the gift-giver, these tokens were usually awarded to a lover or other object of affection when both parties wished to keep their liaison secret. More often than not the medium chosen was watercolour on ivory and they were given as rings, lockets (with a lock of hair, nice touch!) or whatever item of jewellery tickled your fancy. If you were willing to splash out, an artist of the calibre of Cosway could do you something particularly special and you would enjoy the added benefit of showing off the size of your purse into the bargain. Intimate, romantic and expensive, an eye miniature was a declaration of adoration, as one of our Georgian monarchs surely understood. 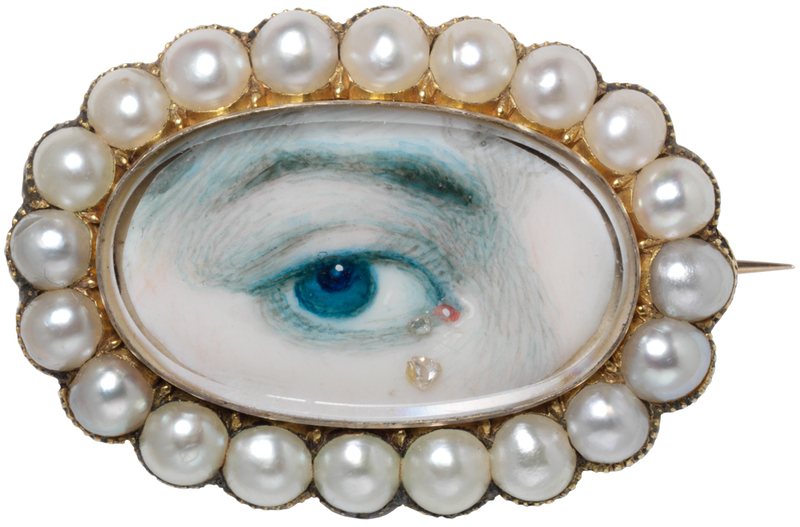 It might not surprise you to know that the tradition of the eye miniature is believed to have started with my old mucker, the Prince of Wales, long before he became King George IV. We Gilflurt women could tell many a tale of the Hanovers but it wasn't one of us who received the eye - that dubious honour went to Maria Fitzherbert. After a somewhat tumultuous courtship, George sent Maria a Cosway miniature of his eye and it certainly did the trick - they married in a clandestine ceremony on 15th December 1785. 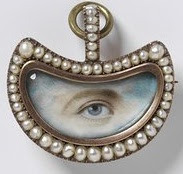 Though George Engleheart was painting eye miniatures as early as 1775, it was George's gesture that made them fashionable (he never could keep a secret) and soon they were very much the done thing. You won't see them in portraits of the era though - they were far too scandalous for that! My colonial gentleman finds them creepy too; they really disturb him! Really romantic and lovely. Subtlety is such a lost art. Thank you for this, Madame. A pleasure; I think I may revisit this topic at some point! What a great post! Not sure how I feel about these. On the one hand creepy, but on the other, quite romantic. Don't think I'd be that thrilled to have received one though, even if it was to indicate a secret romance. Will have to look at the one at the V&A if it's on display. I do quite like them, but I see the creepy side! I'm unsure if Cosway was part of Prinnys"inner circle"at this date but I can imagine the love struck Prince pleading with him to find something to impress"the most wonderful woman I have ever laid EYES on"? Hrmmmm?? Something to make Mrs F notice him! Reading this entry made me go and find the exhibition catalogue on Richard & Maria Cosway from 1995. 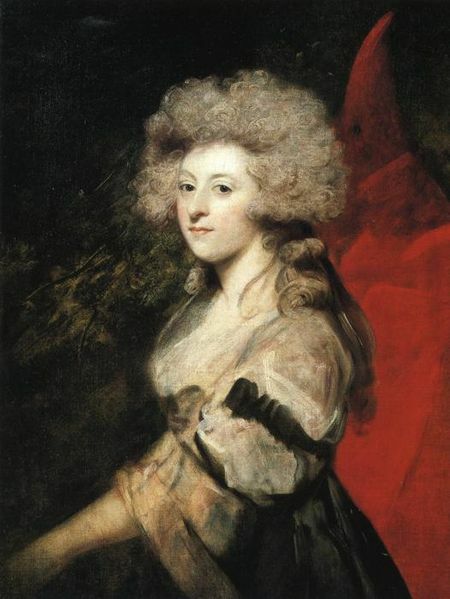 Richard Cosway painted several minitures of Prinny and also painted the eye of Mrs Fitzherbert. Richard Cosway was a collector and connoisseur in his own right and he advised the Prince of Wales on the formation of his ir John Soane and sold a number of works to him. I love Cosway... such a character! I dont think it's creepy at all. I find it romantic.